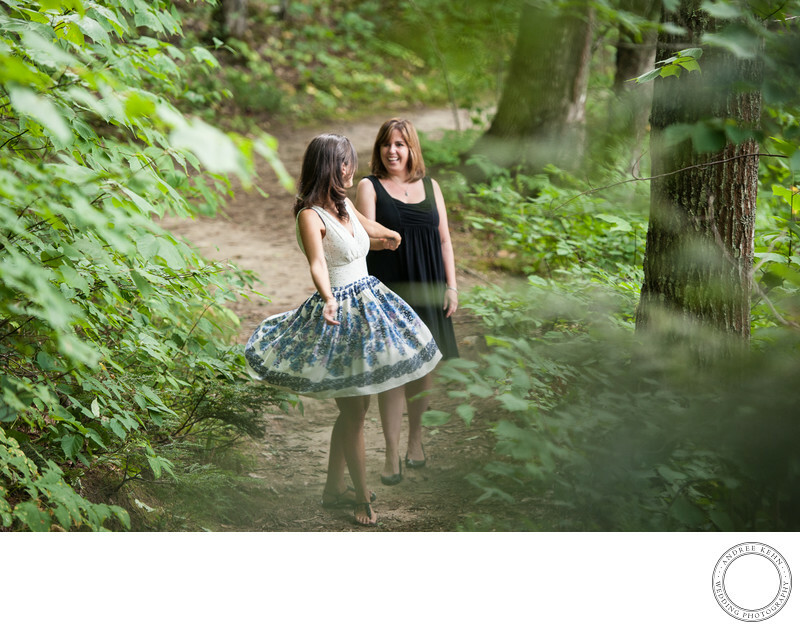 Two women in love strolling though the woods for their engagement session. What could be finer? Maine gay weddings are one of my favorite events to photograph because I do believe it is the most important civil rights cause of our time. And it's joyful! Keywords: Andree Kehn Wedding Photography (1287), Tricia and Christina (33). 1/160; f/3.5; ISO 800; 140.0 mm.